Dan Fromme will lead us in tying the Purple Haze. This is a dry fly with a purple thread body. 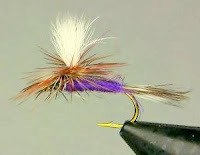 In tying this fly, we'll learn how to construct the vertical (parachute) wing and how to palmer hackle around it. 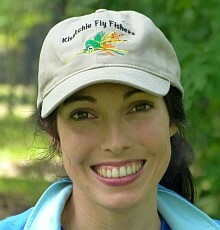 Parachute flies are a must for every trout angler. And the purple body induces more strikes in non-selective fish. Beginners and guests are welcome. If you don't have tools, the club has a few sets for use during the session. Materials will be provided. Countdown to Christmas - and the Mixed Bag too!